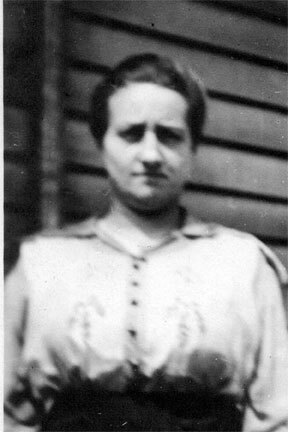 Cora Louise Mischler was born on 30 May 1894 at Sandusky, Erie Co., OH. She was the daughter of John Mischler and Carrie May Fesler. Cora Louise Mischler married Anthony Paul Houser, son of Benjamin Frank Husner and Mary Ann Fachinger, on 2 June 1917 at Sandusky, OH. Cora Louise Mischler died on 21 February 1928 at Sandusky, Erie Co., OH, at age 33. Went by Paul Anthony most of his life. [S182] Social Security Death Index (on-line), Ancestry.com, SSDI, Ancestry.com, SSAN 388-18-8038. 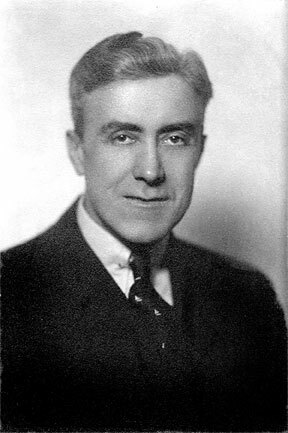 Henry Adam Bechtel was born on 1 December 1891 at Sandusky, Erie Co., OH. He was the son of Jacob Bechtel and Anna Berner. 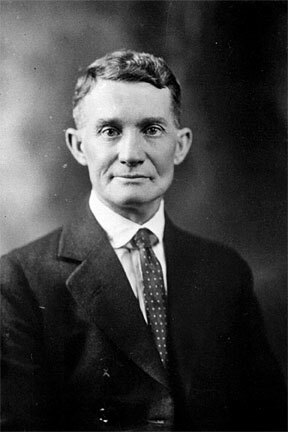 Henry Adam Bechtel married Cleda Margaret Wilson, daughter of David Dwight Wilson and Adella Jane Pattison, on 22 September 1914 at Sandusky, Erie Co., OH. Henry Adam Bechtel died on 3 November 1947 at Sandusky, Erie Co., OH, at age 55. 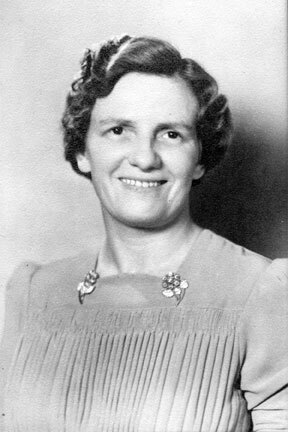 Cleda Margaret Wilson was born on 1 September 1894 at New Castle, PA. She was the daughter of David Dwight Wilson and Adella Jane Pattison. Cleda Margaret Wilson married Henry Adam Bechtel, son of Jacob Bechtel and Anna Berner, on 22 September 1914 at Sandusky, Erie Co., OH. Cleda Margaret Wilson died on 26 February 1960 at Sandusky, Erie Co., OH, at age 65. Benjamin Frank Husner was born on 25 July 1856 at Lancaster, Lancaster, PA. He was the son of Cyprian Husner and Adalaide Hinden. Benjamin Frank Husner married Mary Ann Fachinger, daughter of Peter Fachinger and Katharina Dunkelberg, on 1 May 1877 at St. Anthony, PA. Benjamin Frank Husner died on 24 April 1931 at Cleveland, Cuyahoga Co., OH, at age 74. Mary Ann Fachinger was born on 28 June 1857 at Lancaster, Lancaster, Pennsylvania. She was the daughter of Peter Fachinger and Katharina Dunkelberg. Mary Ann Fachinger married Benjamin Frank Husner, son of Cyprian Husner and Adalaide Hinden, on 1 May 1877 at St. Anthony, PA. Mary Ann Fachinger died on 30 April 1939 at Cleveland, Cuyahoga Co., OH, at age 81. John Mischler was born on 3 February 1868 at Sandusky, Erie Co., OH. He was the son of Wenzel Mischler and Sarah Hartman. John Mischler married Carrie May Fesler, daughter of John Fesler and Caroline Von Thurn, on 13 December 1893 at Sandusky, Erie Co., OH. 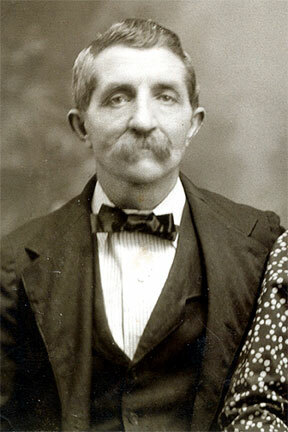 John Mischler died on 20 March 1931 at Sandusky, Erie Co., OH, at age 63. John and Carrie were enumerated in the Sandusky, Erie Co., OH, federal census. He was a watchman age 62, she was 54. Children in the household were Hilda 26, Ray E. 24,Ruth C. 19, grandsons Paul E. 11, Robert J. 7, and William J. 4 years 10 months. 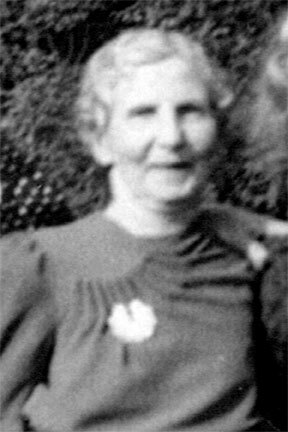 Carrie May Fesler was born on 27 December 1876 at Sandusky, Erie Co., OH. She was the daughter of John Fesler and Caroline Von Thurn. Carrie May Fesler married John Mischler, son of Wenzel Mischler and Sarah Hartman, on 13 December 1893 at Sandusky, Erie Co., OH. 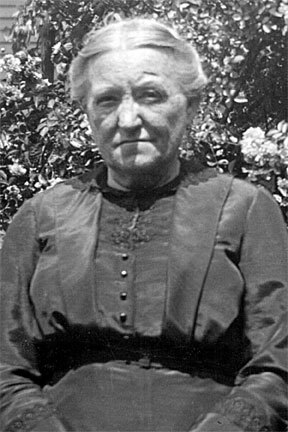 Carrie May Fesler died on 7 March 1951 at Sandusky, Erie Co., OH, at age 74. 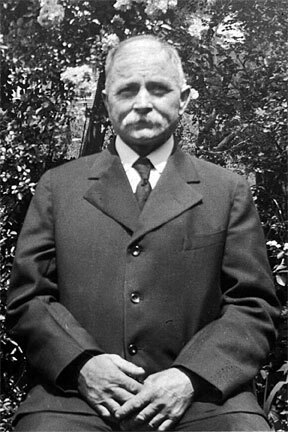 Jacob Bechtel married Anna Berner. 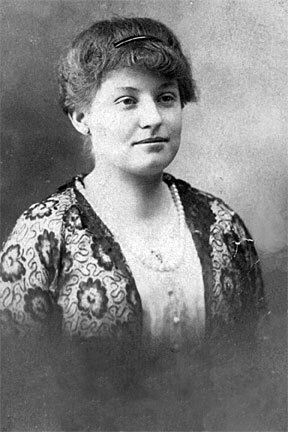 Anna Berner married Jacob Bechtel. 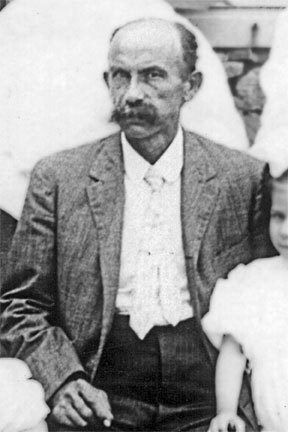 David Dwight Wilson married Adella Jane Pattison. Adella Jane Pattison married David Dwight Wilson. John Fesler was born on 1 August 1842. He was the son of John Fesler. John Fesler married Caroline Von Thurn, daughter of Johann Jacob Thurn and Katherine Mary Waggoner, on 13 July 1870. John Fesler died on 3 September 1920 at Sandusky, Erie Co., OH, at age 78. 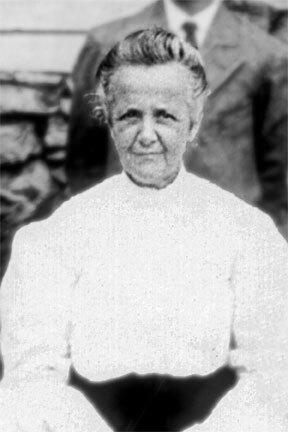 Caroline Von Thurn was born on 1 July 1849 at Bay Township, Ottawa City, OH. She was the daughter of Johann Jacob Thurn and Katherine Mary Waggoner. Caroline Von Thurn married John Fesler, son of John Fesler, on 13 July 1870. Caroline Von Thurn died on 29 January 1931 at Sandusky, OH, at age 81. Johann Jacob Thurn was born on 18 March 1808 at Eusserthal, Germany. He was the son of Friedrich Adam Thurn and Maria Catharina Hopfinger. Johann Jacob Thurn married Katherine Mary Waggoner on 20 November 1847 at Port Clinton, OH. Johann Jacob Thurn died on 27 July 1874 at Scott Township, Sandusky, Erie Co., OH, at age 66. Katherine Mary Waggoner was born on 14 February 1825 at Alsace-Lorraine, France. She married Johann Jacob Thurn, son of Friedrich Adam Thurn and Maria Catharina Hopfinger, on 20 November 1847 at Port Clinton, OH. Katherine Mary Waggoner died on 4 January 1896 at Scott Township, Sandusky, Erie Co., OH, at age 70. Friedrich Adam Thurn was born in 1784 at Eusserthal, Germany. He died on 16 February 1849 at Bay Township, Ottawa City, OH. Maria Catharina Hopfinger was born in 1789 at Eusserthal, Germany. She died in December 1856 at Bay Township, Ottawa City, OH. Cyprian Husner was born on 29 March 1828 at Wittnau, Canton, Switzerland. He was the son of Benedikt Husner and Theresia Brogle. Cyprian Husner married Adalaide Hinden on 4 September 1854 at Lancaster, Lancaster, Pennsylvania. Cyprian Husner died on 12 October 1883 at Lancaster, Lancaster, Pennsylvania, at age 55. Adalaide Hinden was born on 25 December 1823 at Gipf-Oberfrick, Switzerland. She married Cyprian Husner, son of Benedikt Husner and Theresia Brogle, on 4 September 1854 at Lancaster, Lancaster, Pennsylvania. 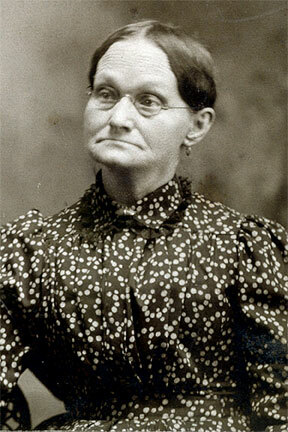 Adalaide Hinden died on 22 April 1897 at Lancaster, Lancaster, Pennsylvania, at age 73. Benedikt Husner was born on 4 February 1790 at Wittnau, Switzerland. He was the son of Johann Husner and Ursula Reimann. Benedikt Husner married Theresia Brogle on 12 February 1816 at Wittnau, Aargau, Switzerland. Benedikt Husner died on 21 May 1848 at age 58. Theresia Brogle was born on 15 October 1792 at Wittnau, Switzerland. She married Benedikt Husner, son of Johann Husner and Ursula Reimann, on 12 February 1816 at Wittnau, Aargau, Switzerland. Johann Husner was born on 5 December 1744 at Wittnau, Switzerland. He married Ursula Reimann on 17 November 1783. Ursula Reimann was born on 3 February 1758 at Wittnau, Switzerland. She married Johann Husner on 17 November 1783. Ursula Reimann died on 14 November 1821 at age 63. Margaret Ann married her 1st cousin. Margaret Ann Hill was born on 18 August 1812. She was the daughter of Major Thomas Hill and Fannie Russell Baptist. Margaret Ann Hill married Thomas Hill, son of Ambrose Powell Hill and Frances Twyman, on 13 January 1831. Margaret Ann Hill died on 30 December 1833 at age 21. Evelyn Hill was the daughter of Major Thomas Hill and Fannie Russell Baptist. Thomas Theophilus Hill was born circa 1819. He was the son of Major Thomas Hill and Fannie Russell Baptist. Thomas Theophilus Hill married Ariadne (?) circa 1840. David Giddings was born on 18 July 1747 at Lyme, New London Co., CT. He was the son of Deacon Thomas Giddings and Mary Colt. David Giddings died on 10 August 1792 at age 45. Dan Giddings was born on 4 August 1749 at Lyme, New London Co., CT. He was the son of Deacon Thomas Giddings and Mary Colt. Dan Giddings died on 3 April 1818 at West Rutland, VT, at age 68. Thomas Giddings was born on 29 August 1753 at Lyme, New London Co., CT. He was the son of Deacon Thomas Giddings and Mary Colt. Thomas Giddings married Apphia Hayes, daughter of Asahel Hayes and Martha Holcombe, in 1775 at Simsbury, Hartford Co., CT. Thomas Giddings died on 14 August 1845 at Simsbury, Hartford Co., CT, at age 91. Festus Giddings was born on 24 September 1756 at Hartland, CT. He was the son of Deacon Thomas Giddings and Mary Colt. Festus Giddings died on 11 March 1777 at age 20. [S182] Social Security Death Index (on-line), Ancestry.com, SSDI, Ancestry.com, SSAN 317-14-3094. Temperance Giddings was born on 10 January 1770 at Hartland, CT. She was the daughter of Deacon Thomas Giddings and Mary Colt. Temperance Giddings died on 31 August 1811 at Lancaster, NH (? 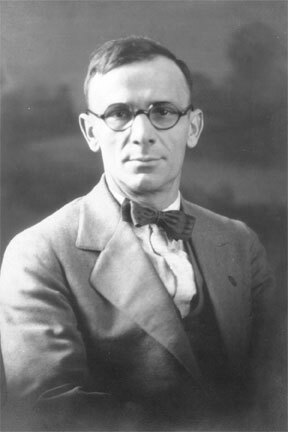 ), at age 41. Silas Giddings was born on 30 April 1774 at Hartland, CT. He was the son of Deacon Thomas Giddings and Mary Colt. Silas Giddings died on 21 November 1821 at Erie Cnty (prob), PA, at age 47. Lydia Giddings was born on 27 December 1766 at Hartland, CT. She was the daughter of Deacon Thomas Giddings and Mary Colt. Lydia Giddings died on 8 October 1848 at age 81. From "The Giddings Family (1882)" by Minot S. Giddings of CT 671 Jabez is thought to have been a son of Dea. Thomas. d. 1787. He m. abt. 1783, Mercy Johnson, and had a son, Joseph. He had a dau. Miriam, b. 1786, m. Charles Clark, of Hartland. His widow Mercy m. (2) Dr. Amherst Coult, of Lyme, being his second wife. Jabez Giddings was born on 7 October 1758 at Hartland, CT. He was the son of Deacon Thomas Giddings and Mary Colt. Jabez Giddings married Mercy Johnson, daughter of Caleb Johnson and Mary Cooke, on 20 September 1784 at Hartland, CT. Jabez Giddings died on 23 October 1789 at Hartland, CT, at age 31. Joseph Colt was born on 27 February 1727 at Lyme, New London Co., CT. 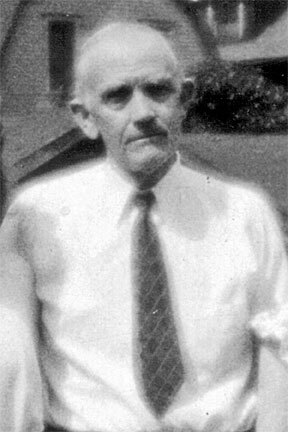 He was the son of Deacon Benjamin Colt and Miriam Harris. Thomas Giddings was born on 19 May 1683 at Ipswich, (Chebacco), MA. He was the son of John Giddings and Sarah Alcock. Thomas Giddings married Sarah Andrews on 1 June 1708 at Ipswich, MA. Thomas Giddings died on 3 September 1754 at Lyme, New London Co., CT, at age 71. Information provided by Ralph Giddings 721 Parkview Drive Ft. Collins, CO 80525 (303) 226-4153. John Giddings was the son of George Giddings and Jane Lawrence. George Giddings married Jane Lawrence, daughter of Thomas Lawrence and Joan Antrobus. George Giddings was born in 1609. He was the son of John Gidding and Joan Purrier. George Giddings died in 1676. Information from C. Bland Giddings; 1820 East Jensen St., Mesa, AZ 85203 Settled Ipswich MA from 1635-1676 (arr. good ship PLANTER) Had six sons. Sarah Andrews was born on 16 July 1685 at Chebacco, MA. She married Thomas Giddings, son of John Giddings and Sarah Alcock, on 1 June 1708 at Ipswich, MA. Sarah Andrews died on 1 February 1749 at Lyme, New London Co., CT, at age 63. Sarah Alcock died in 1711. Jane Lawrence married George Giddings, son of John Gidding and Joan Purrier. Jane Lawrence was born in 1614. She was the daughter of Thomas Lawrence and Joan Antrobus. Jane Lawrence died in 1680. Katherine (?) died in 1615 at Oakley, Beds, England. Michael Gyddyns died in 1564 at Clapham, Beds, England. John Gidding was born in 1588 at Clapham, Beds, England. He was the son of Michael Gyddyns and Katherine (?) John Gidding died in 1619.